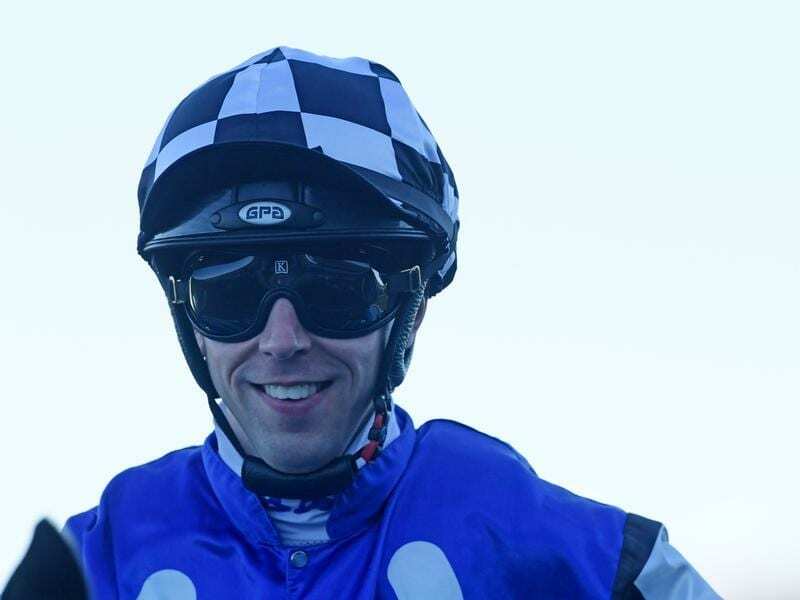 Brenton Avdulla has ridden Tactical Advantage to win the Takeover Target Stakes at Gosford. Sir Plush could well have been running in Gosford’s feature sprint, the Takeover Target Stakes, but trainer Bjorn Baker’s bold decision to try him over ground has paid off with victory in the Gold Cup. The winner of seven races between 1100 and 1400 metres, Sir Plush stepped out in Thursday’s Gosford Gold Cup (2100m) as an $8 chance. Mindful it was Sir Plush’s first attempt beyond 1600m, Glyn Schofield kept him comfortable before unleashing him in the final stages to claim Satono Rasen ($5) by a half head. “I got a lovely run and the speed was on,” Schofield told Sky Thoroughbred Central. “I just wanted to put him to sleep to make sure he would run the trip and when the pressure came on at about the 600 metres, I didn’t want to go at that stage. The Takeover Target (1200m) was won by the Kris Lees-trained Tactical Advantage ($4.20) who overhauled the $3 favourite Easy Eddie to win by a long head. Ridden by Brenton Avdulla, Tactical Advantage was coming off a sixth place in the Listed Falvelon Quality (1110m) at Doomben on December 29. “That’s why Kris trains them and I ride them,” he said. Formerly raced by Gooree, Tactical Advantage now sports the Australian Bloodstock colours. “It’s really good to win a stakes race with this horse,” Lees said. “A good bunch of people bought into the horse and they’re having a great day,.